In 1929, twelve young Eurasian women, all keen sportswomen, decided to take matters into their own hands. They wanted to play competitive sports and appealed to the Singapore Recreation Club, the all-male Eurasian sports club, to allow women to become members. The men would not budge, so the young women started their own club. In July 1929, the Goldburn Sports Club was born with premises along Upper Serangoon Road. It was only open to Eurasian girls. A year later, it changed its name to Girls Sports Club (GSC). 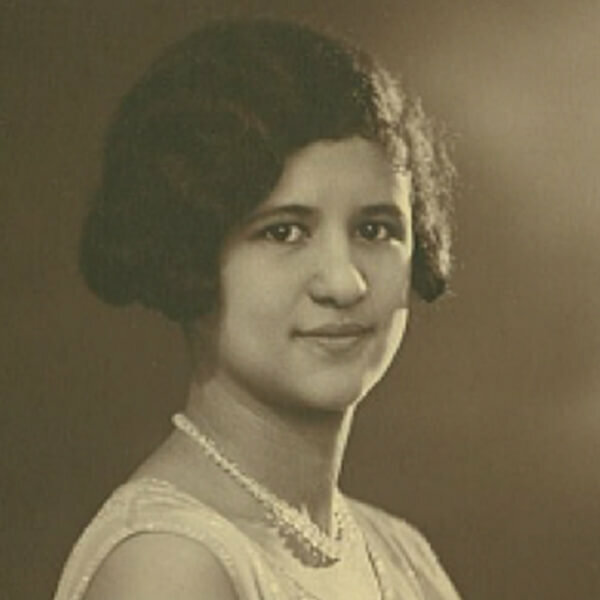 Zena Clarke Tessensohn was one of the 12 young women. Elected the GSC’s honorary secretary in 1929, she remained in the post until 1942, when World War Two (WW2) and the Japanese Occupation put an end to the club’s activities. When the club restarted after the war, Zena became its president, a position she would hold for 44 years. In her six decades at the club, Zena played a key role in popularising hockey, netball, tennis and other sports among the women of Singapore. Born in 1909, Zena was educated at the Convent of the Holy Infant Jesus. Leaving school in 1925, she decided to become a stenographer. She had thought of becoming a lawyer, but that would have meant going to England to study. Her parents, who had several other children to raise and educate, could not afford to send her abroad. Having qualified as a stenographer, she went to work, initially at a trading company and then at an insurance firm. Her passion, though, was sports, which was not surprising as she came from a sporting family. Her grandfather, Francis Clarke, and his brother Albert were among the founding members of the Singapore Recreation Club. 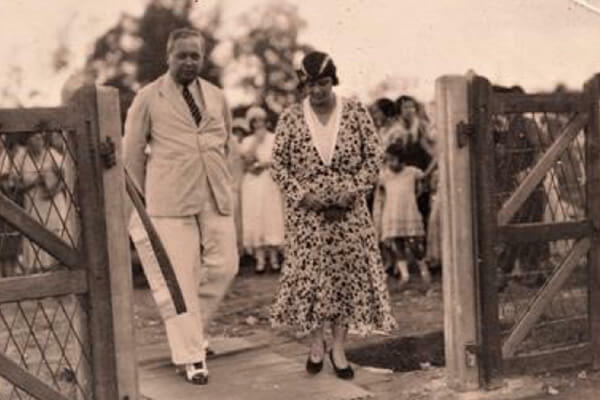 Her father, Conrad Hercules Clarke, was a keen sports fan and donated cups and trophies for sporting events, and her brothers represented Singapore in various sports. But the girls in the family had nowhere to go to for sports – until the GSC was set up. In 1930, the GSC moved from Upper Serangoon to temporary premises at St Michael’s Road provided by a prominent Eurasian community leader and lawyer. In 1931 it managed finally to get a lease from the government for a piece of land on Serangoon Road. The club raised $1,750 to develop the site and the GSC formally opened its new premises in 1932. The GSC arranged for its members to be coached in netball and hockey. It was particularly successful at hockey. In 1933, it was the first women’s team from Singapore to play hockey in Malaya, beating Malacca by 5 goals to 1. In 1934, when the Singapore Hockey Association rejected their application for direct membership, GSC led the way in forming the women’s section of the association. But the women wanted their own organisation, and in 1939 Zena spearheaded the formation of the Singapore Women’s Hockey League. She served initially as its secretary-treasurer, and was its chairwoman from 1951 to 1956. In 1981, at the Singapore Hockey Association’s 50th anniversary celebration, she was among those honoured for her contributions to the sport. Zena’s husband, Geoffrey Tessensohn, was a volunteer with the Royal Volunteer Australian Air Force and was posted to Australia during World War 2 and she joined him these. Returning to Singapore after the war, a priority was to restart the GSC. At its first post-war meeting in 1947, Zena was elected president. Her immediate task was to raise $50,000 for the renovation of the club, which had been badly damaged by the war. This she did with her usual enthusiasm and determination, while also continuing to play and coach hockey, netball and tennis. She later described herself as having been the club’s ‘president and slave’ for many years. In 1948, Zena asked the Singapore Recreation Club to admit women as members. The men of the club refused her request, but they did allow the GSC to use their hockey field and other facilities. The GSC re-opened its restored grounds and pavilion in 1954, and in time added softball and football to the games it played. However, in 1974, the government took back the land, saying it was needed for other purposes. Zena and her members were bitterly disappointed. She later said: “As you can imagine, after 43 years on the ground and spending money and sweating blood … we were all so disappointed and disheartened.” But they resolved to carry on even without their own premises. Membership, however, began to decline. In her later years, Zena focused less on organising events and more on maintaining the club’s finances. She stepped down as GSC president in early 1991, when she was 81 years old, and became the club’s patron. Some months later, she died. In 1996, the GSC finally ran out of steam and was dissolved. But Zena’s legacy lives on in the many Eurasian and other women in Singapore who have become athletes competing at all levels in all sports.